Traumatic acromion fractures are rare and typically occur in patients with multiple fractures, which often delays diagnosis. Limited guidance exists on the treatment of these fractures. We present a review of the literature from the last 20 years and describe our experience in treating five patients—two conservatively and three with open reduction and internal fixations (ORIF). We used the U.S. National Library of Science database, MEDLINE®, to search for all pertinent publications from January 1999 to December 2017. Included were retrospective or prospective studies, including case series and case reports, describing treatment for traumatic acromion fractures and clinical and/or radiological outcomes. For our case reports, we present five patients with traumatic acromion fractures who were treated at our institution between 2013 and 2017. Through our review of 14 publications, we found that current recommendations are often based on a limited number of cases. No gold standard to treat these fractures exists. 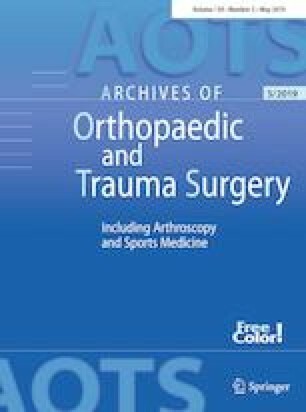 Most authors recommend anatomic reconstruction, especially for dislocated fractures, persistent symptomatic non-unions or additional injuries to the superior shoulder suspensory complex. There is no clear trend in terms of the operative technique. With regard to our five clinical examples that were all initially treated conservatively, two were successful and three eventually required reconstruction with ORIF. Based on the findings of this review, we proposed a treatment algorithm for traumatic acromion fractures. A classification system providing clear guidance on treatment options is needed. Although the non-union rate with conservative treatment is relatively high, it is not always painful or limiting to shoulder function, especially in elderly or less active patients. Fixation seems to be a more suitable treatment option for active patients who are more likely to require revision of symptomatic non-unions. Informed consent was obtained from all individuals described in this case series.